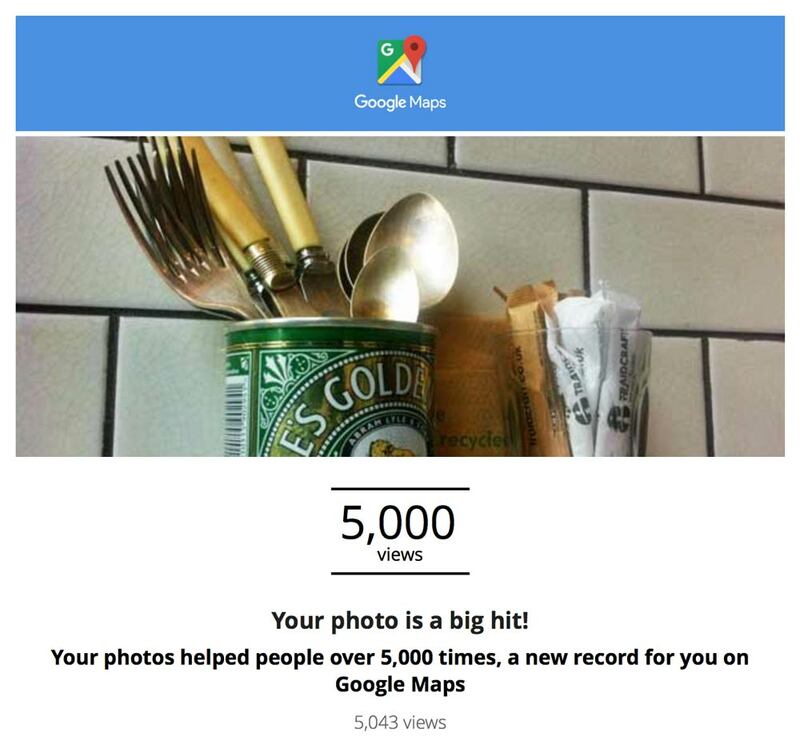 An email arrived from Google to tell me I had burst through the 5,000 views barrier on Google maps. So in the spirit of crowing and making myself obnoxious, here is the graphic from the email. Why am I pleased? Recognition of value is one of the most precious things in human existence. And that feeling is still there even when the value is transitory and trivial in the scheme of things. By the way, the place on the map is Cafe Milk on Morrison Street in Edinburgh. Well done! I love the picture. That’s cool. I just posted my first photo on Google Maps two weeks ago.